Located 6 km from Kedleston Hall in Derby, Premier Inn Derby City Centre features a restaurant and free WiFi throughout the property. Guests can enjoy the on-site bar. Rooms are equipped with a flat-screen TV. You will find a kettle in the room. 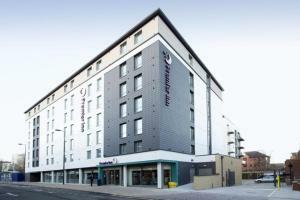 See all Premier Inn Derby City Centre reviews..